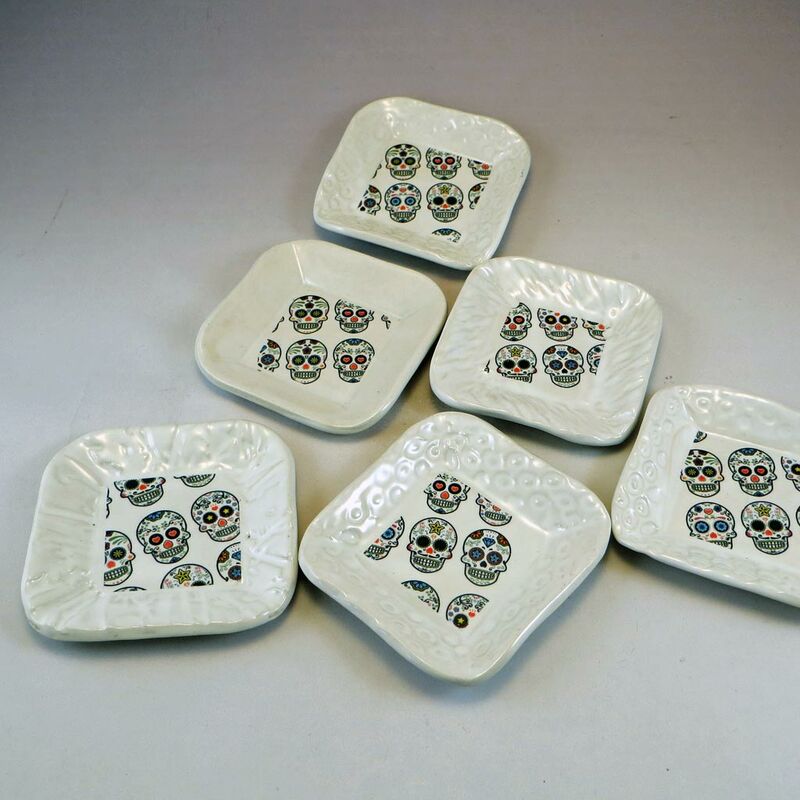 Here’s a group of small dishes in white with a “wallpaper” sugar skull decal in the center. 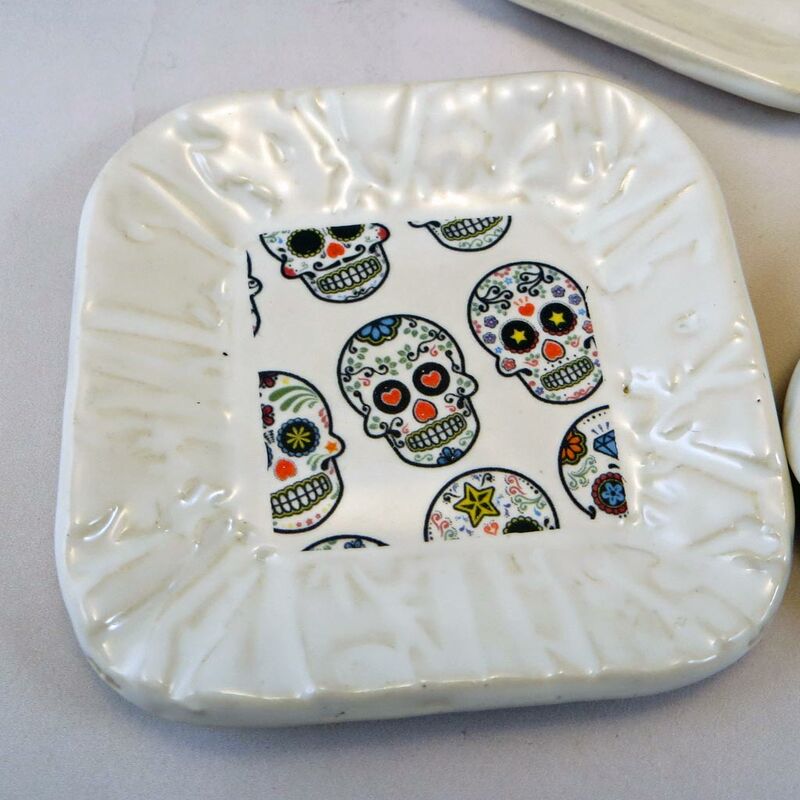 One’s a handy size for catching small items or offering a dab of something yummy. 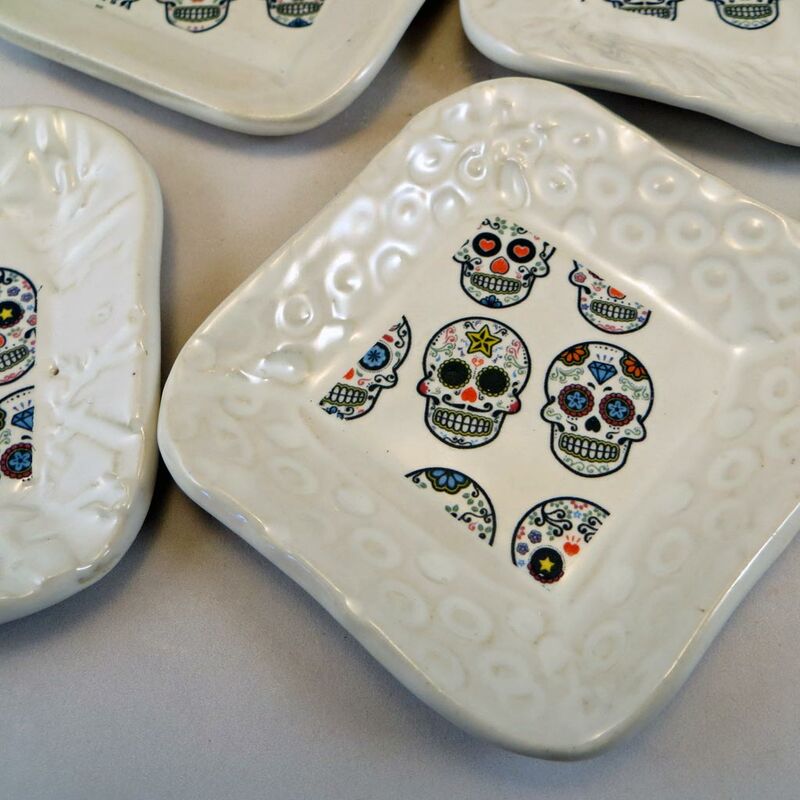 The textured edges and the offset rows of colorful sugar skulls create a unique pattern for Days of the Dead ofrendas and more. Group a few of these skull dishes together, mixed and matched. 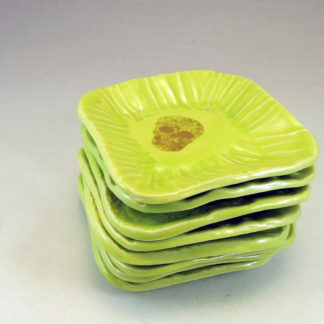 Be sure to scan the listings for the other colors. 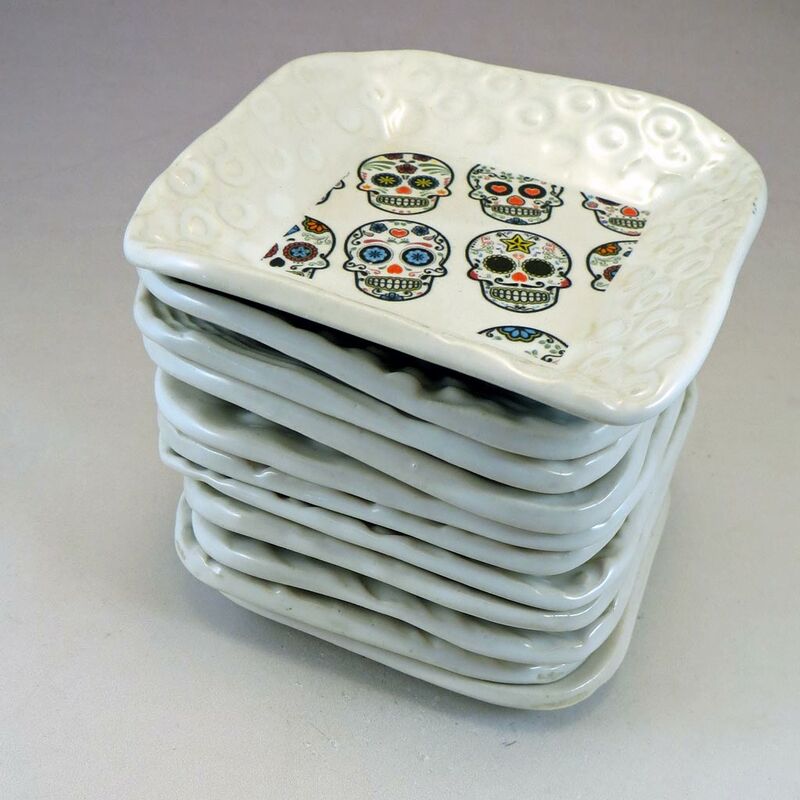 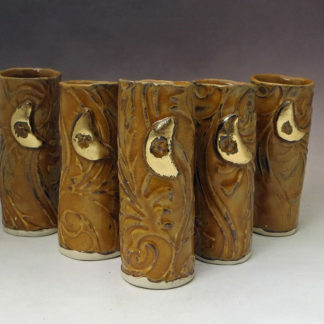 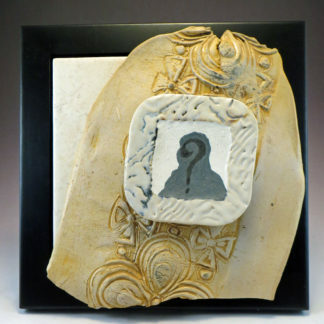 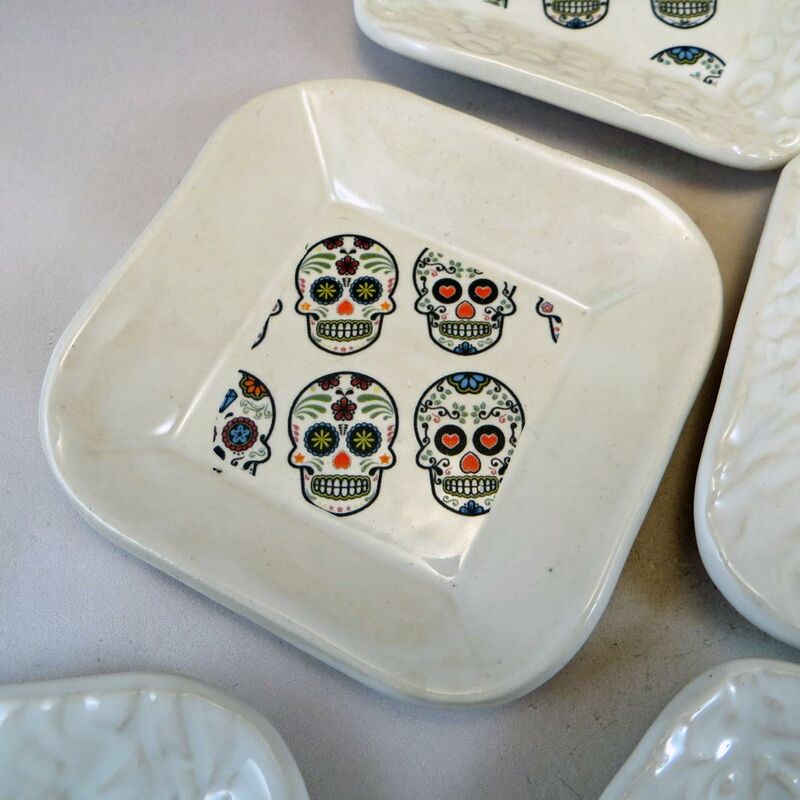 Skull Dishes are small works with an engaging presence, good for all manner of uses.